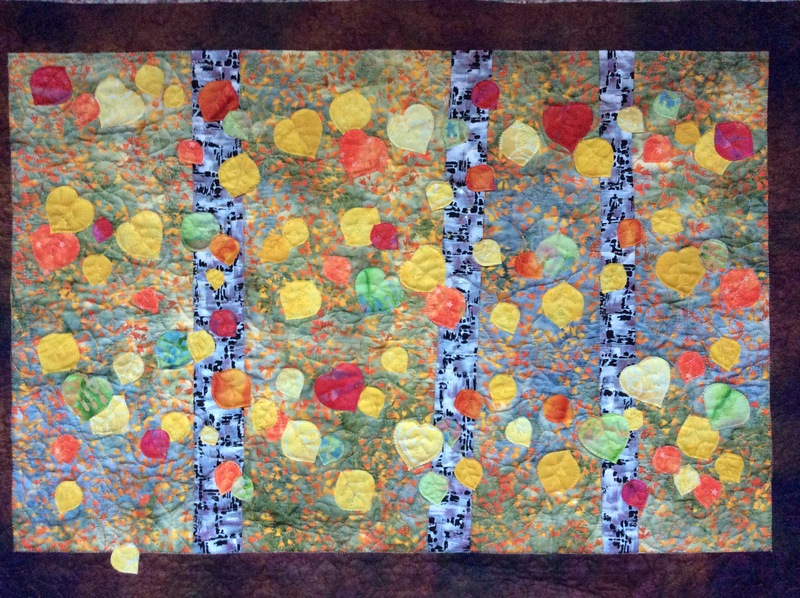 This is Aspens ©2014. Now in a private collection. I made it to sell… so I sold it. And I was happy to see that someone else saw in it what I saw in it. But as I sent it off to its new home, I felt a pang of regret. Sure, I know I could make another one. But I won’t. Perhaps something similar, as I try to do series; but each quilt is unique. And doing the same thing over again would bore me, so THAT’s unlikely to happen. I wonder–do other artists feel this way? Do you make multiple versions of a single work (not talking about series). I guess I see it more in things like ceramics and small sculpture. That’s got me thinking about it. But I digress. 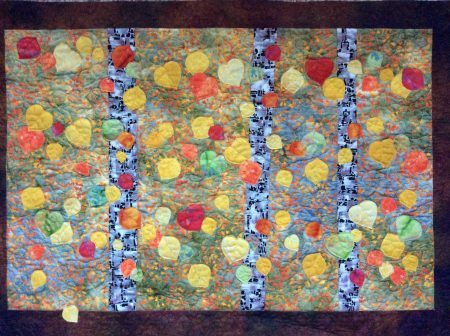 When I started quilting, I made things that I liked for me. But now, I’m making things I like for others. I like everything I do that goes in the show booth or in the online store–I have to believe in the pieces I sell. But every now and then one is special to me. It comes from my heart, not my head. And these, invariably, are the pieces that sell first. And that brings the pang of regret as well as the pleasure that something that touched my heart also touched someone else’s. Does your art come from your head or your heart? Or a mix of both? Do you feel that regret when you sell it (if you sell) or give it away? Maker’s regret, I call it. ‘Bye, Aspens, you were/are well loved! Aspens. © 2014 Betsy True. Private collection.